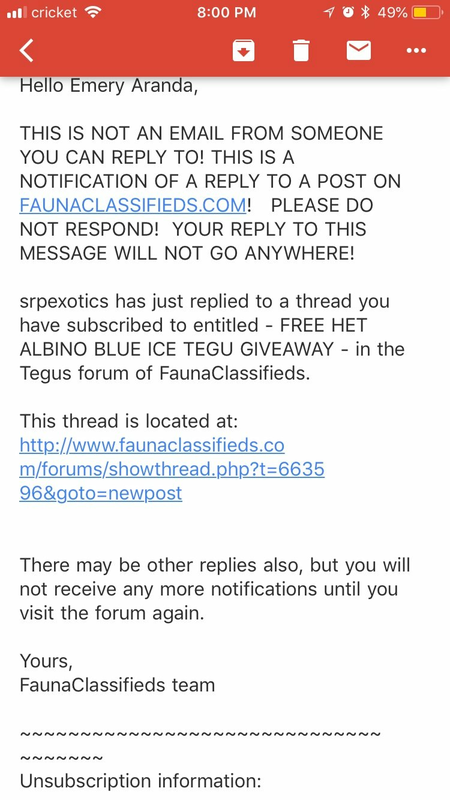 So anyone following the tegu classifieds probably saw the giveaway for the het albino blue ice tegu giveaway? 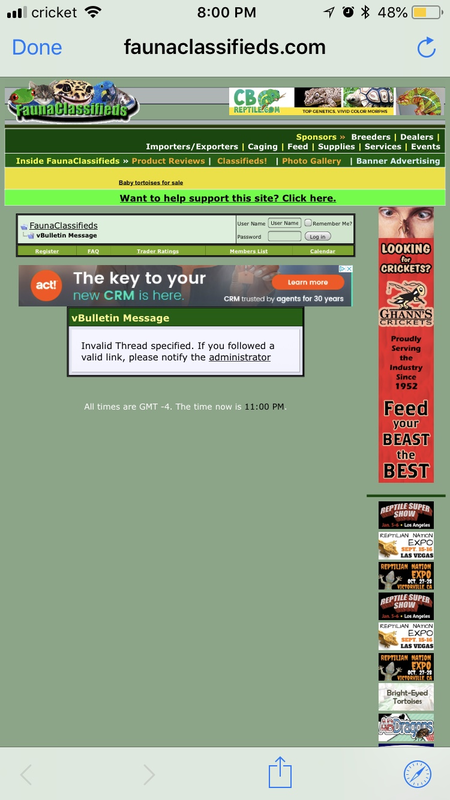 Anyone notice the post was just deleted. 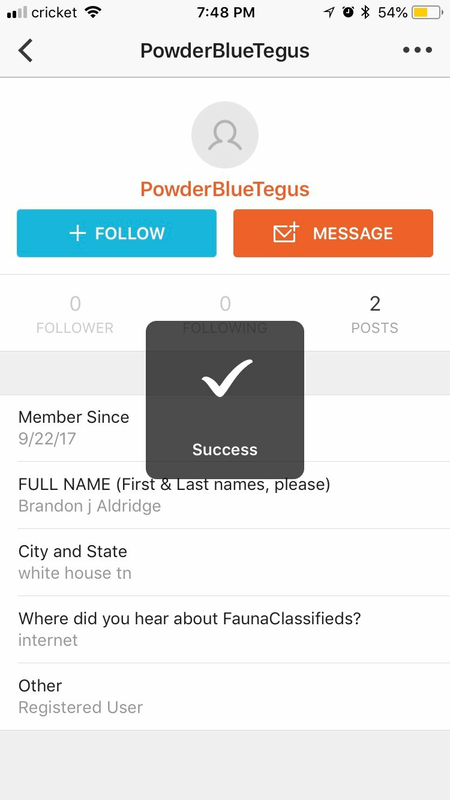 When I confronted powder blue tegus he claimed that it was announced on Facebook, and then when I called him out for having no way to even know that, he blocked me. 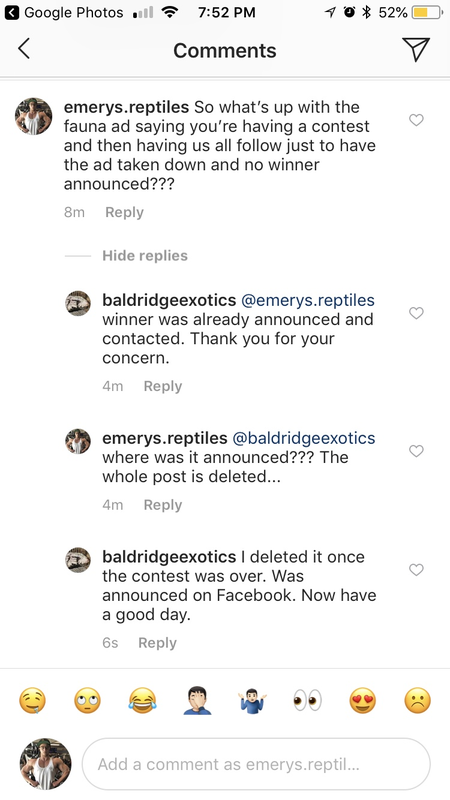 Brandon Aldridge that is very lame of you to do, and I think it’s unfair considering you gained a good 100+ followers from this stunt. It’s honestly quite sad. 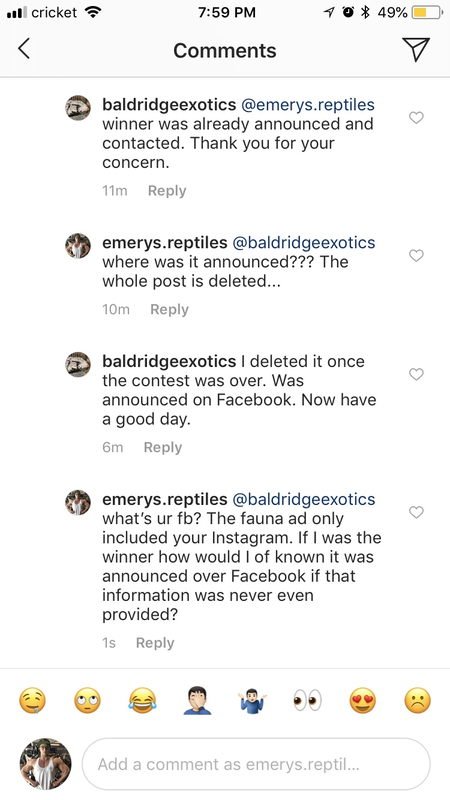 If anyone has screenshots of the original post please feel free to post them below. 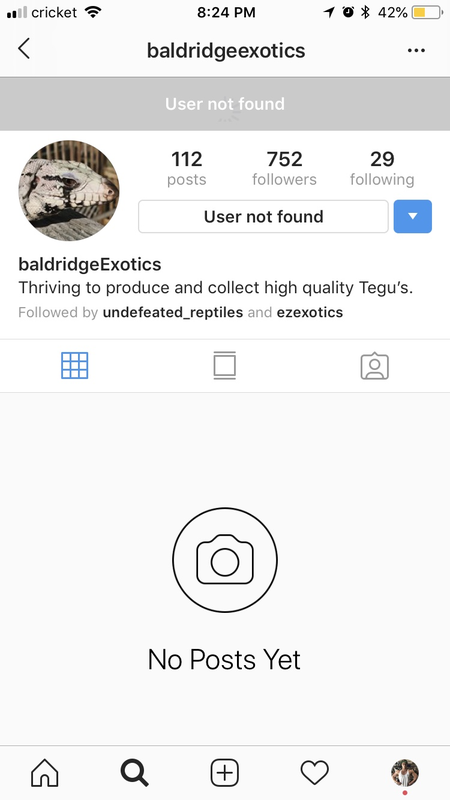 I mean c’mon man you couldn’t even make an attempt to make a fake profile to award the tegu to? I feel offended that you’d think we’re that stupid.